An easy ws on practising 'to be going to' structure and expressions with have. The present downloadable handout is meant for high school students and elementary school students at Elementary (A1) and Pre-intermediate (A2) level. 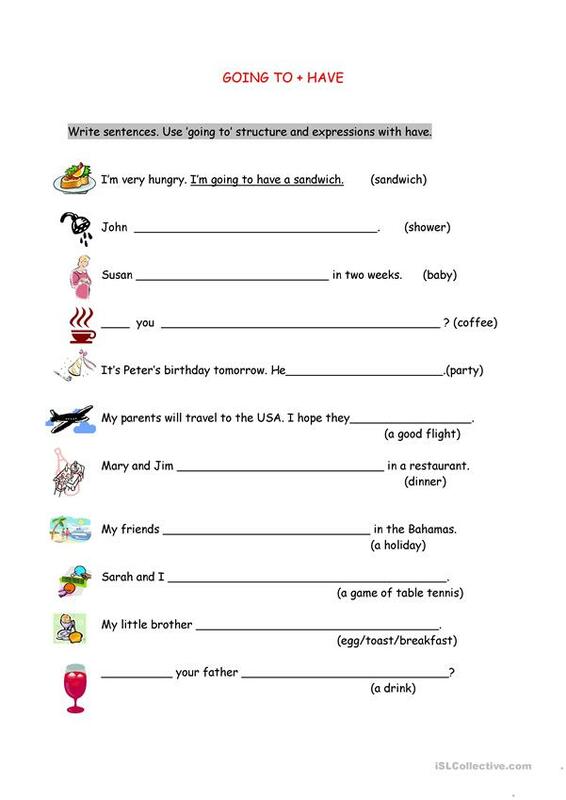 It is valuable for consolidating Future tenses in English, and is a valuable material for honing your learners' Spelling and Writing skills.